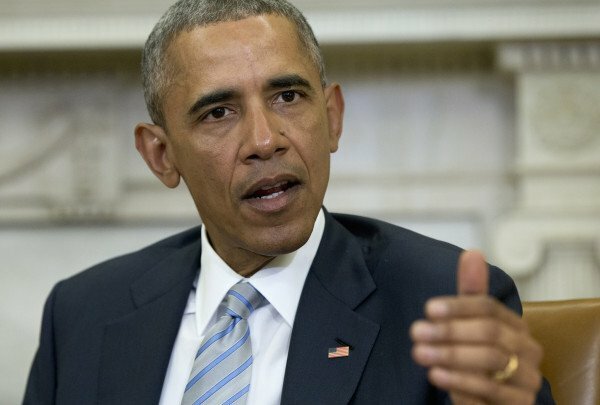 Home Tags Posts tagged with "nagasaki"
President Barack Obama is set to arrive in Hiroshima and become the first serving US president to visit Japan’s city since the 1945 nuclear bombing. Barack Obama flew into a US base nearby, after leaving the G7 summit. He has said he will not be issuing an apology for the nuclear attack, but will honor all those who died in World War Two. Barack Obama told Japanese media the visit would show that “even former adversaries can become the strongest of allies”. The world’s first nuclear bomb attack, on Hiroshima on August 6, 1945, killed at least 140,000 people. Two days later a second nuclear bomb was dropped on Nagasaki, killing another 74,000. Barack Obama will lay a wreath at the cenotaph, where an eternal flame remembers Hiroshima’s dead. He will be joined by bomb survivors living in the now thriving city. John Kerry has become the most senior US official to visit the Hiroshima memorial in Japan, which commemorates the world’s first atomic bombing. Around 140,000 people were killed in Hiroshima when the US dropped its atomic bomb in 1945. John Kerry was joined by foreign ministers from the G7 group of nations who are holding talks in the city. They laid wreaths at the memorial and observed a minute of silence. The ministers also visited the Bomb Dome, over which the A-bomb exploded, and the nearby Hiroshima museum, which tells the personal stories of people who died. John Kerry wrote in the museum guestbook that it was “a stark, harsh, compelling reminder not only of our obligation to end the threat of nuclear weapons, but to rededicate all our effort to avoid war itself”. At 08:10 local time on August 6, 1945, the US B-29 bomber the Enola Gay dropped a uranium bomb nicknamed “Little Boy” on Hiroshima. The bomb exploded 1,800ft above what is now the Hiroshima Peace Dome. About 70,000 people died immediately. At least 140,000 people had died by the end of the year through injury and the effects of radiation. The bombing, and a second bomb dropped on Nagasaki three days later, forced Japan to surrender, initiating the end of World War Two. In 2008, House of Representatives Speaker Nancy Pelosi visited Hiroshima, but US diplomats have largely avoided official visits. Many in the US believe the bombing was necessary to end the war, and do not want their leaders to take any action which might be seen as an apology. 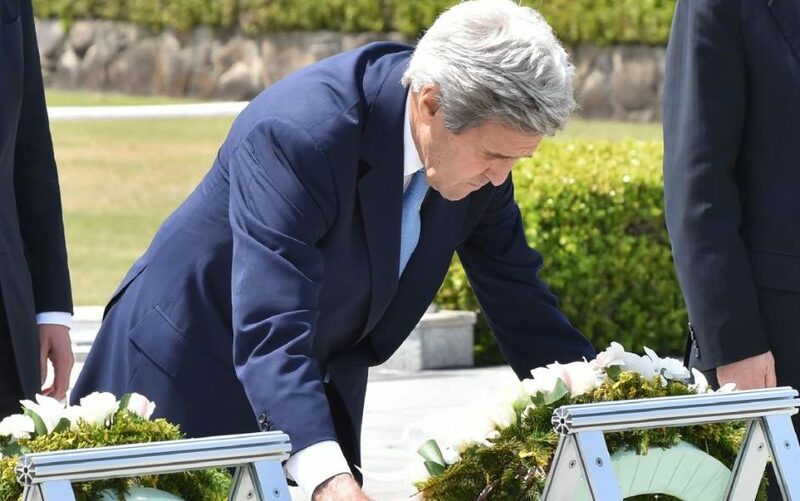 John Kerry previously said his time in Hiroshima would “revisit the past and honor those who perished” but stressed that his trip was “about the present and the future”. It also comes amid efforts to strengthen the relationship between the US and Japan, particularly with growing concern about China’s assertiveness in territorial disputes in Asia, affecting Japan and other US allies. President Barack Obama is attending a G7 leaders’ summit elsewhere in Japan in May, and there are reports he is considering a stop in Hiroshima. If it happens, it will be the first time a sitting US president visits Hiroshima.